Modern accounting software can benefit businesses both large and small. Indeed, with each dollar often being critical to smaller enterprises, it’s arguable they’ll benefit even more from financial packages that accurately track their finances. From its beginnings some 30 years ago as software loaded onto dedicated PCs, the trend now is very much for cloud based solutions with the user paying a monthly subscription. This means small business can choose finance software that suits their current needs and add more functionality as their demands change. From basic bookkeeping and expenses tracking it’s easy enough to scale up to generating tax paperwork and inventory management. The monthly subscription model and adaptability makes accounting software a must for small businesses. Most offer a free trial so users can ‘test drive’ before committing. A famous brand and, despite increased competition, still the go-to finance software choice for many businesses. Quickbooks comes in various ‘flavors’ ranging from versions designed for micro businesses and offering basic tracking of income and expenses, invoice and estimate creation, and connection to online banking. More advanced versions add bill paying, multiple users and time tracking, inventory tracking, multiple users and preparation of tax paperwork for contractors. There’s also a more basic version specifically designed for the self-employed one person operation. QuickBooks offers an attractive and easy to use interface, and arguably the best set of features for small business financial accounting with plenty of flexibility and add on options to extend its capabilities. Another well known name in financial software circles, Sage’s packages also come in various versions to suit businesses of different size and scope. Each version provides features such as accounts payable and receivable, inventory management and integrated payroll. More advanced versions add auditing and budgeting, work costing and workflow management. The Sage offering is considered to have an aging interface lacking the user friendliness of some rivals. The FreshBooks online accounting package underwent a complete overhaul in 2017 and, with a very user friendly interface and attractively priced plans at starter level, appeals to businesses only requiring basic accounting facilities. A by-product of the revamp is the slow pace of features moving from the previous Classic version to the new one with features such as inventory management and certain reporting options not yet available. FreshBooks is also compromised a little by not being able to integrate with the more popular e-commerce websites and no double entry facility. A well-designed interface and innovative development using machine learning and AI (Artificial Intelligence) tech to add more automation and better connectivity has helped its software win friends. Various versions are offered ranging from a basic package providing a five invoices, five bills and 20 bank transactions limit per month onto those providing multiple currency support and payroll for up to ten employees. Xero is developing a sound ecosystem in working closely with third party app developers in creating its own accounting tools, but at present has some way to go to catch up with established players like QuickBooks with hundreds of third party apps available. Zoho Books features plenty of help available in various forms including phone, email and chat along with comprehensive online documentation. The basic version is limited to one user while the top line variant adds unlimited contacts and users, 10 automated workflows, purchase and sales orders, and inventory tracking. Zoho Books falls down somewhat in certain key areas: report customization is limited, user access permissions aren’t as tight as others and payroll integration is absent. Otherwise its ease of set up and customization options make it an appealing proposition. 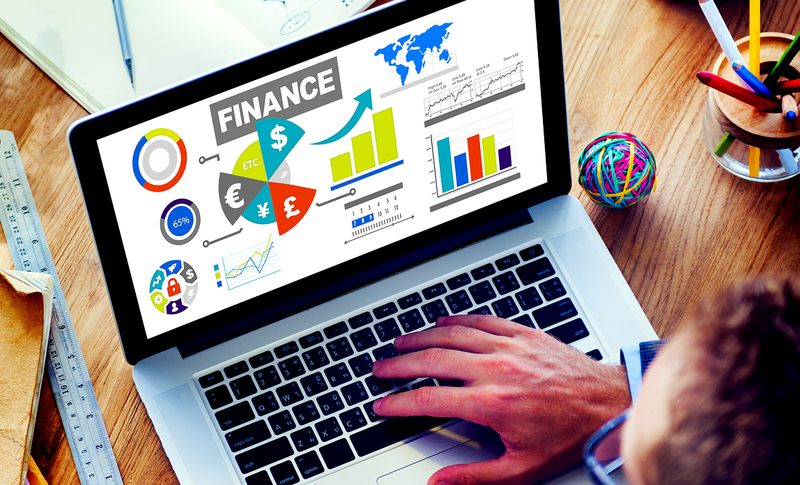 Financial accounting software can help small businesses not only handle routine financial admin quickly and efficiently, but help provide up to the minute information key to understanding a business’s financial position. It’s important to understand what features are important to you so they’re included in whatever financial software you choose and you don’t pay for facilities you won’t require. Does your Magento store Sell Offline? Read This, If It Does! Expose Your Business and Explore It to the World!